There are free online marketing methods you can use to get your business noticed – all you need is time and a little creativity to put them in motion. In the online world, where getting lots of attention means cash in the bank, it is getting increasingly difficult to even get your target market to notice you. Not only do you have to compete with large companies that have strong marketing departments, but you also have to compete with social media and many other distractions. However, this does not mean your online marketing efforts have to be over the top, or cost you tons of money to get you in front of your prospective buyers. Below are five inexpensive and creative ways you can market your business online. This is a stylish image slider graphic, with semi-transparent forward/back graphics, and various attractive progress buttons. It’s a simple and appealing design with lots of detail! HTML5 has entered our lives for good and it is changing the way we are embedding media on our web pages. Two of the new greatest features are the <audio> and <video> elements. No more do we have to resort to Flash to serve videos and audio to our visitors. The new solutions HTML5 has to offer are really tempting but enough with the introductory words. Let’s see what <audio> and <video> do. The tag’s name by itself says it all. With the new <audio> element we can quickly and easily add audio to our webpages. In its simplest form, it works pretty much the same as the <img> element so we just need to use the src attribute to link to our audio file. It is really that simple. We can even add a fallback message or another fallback solution (Flash player) in case the visitor’s browser doesn’t support the new audio element. The audio element comes bundled with some nice options. Below, we will see some of them. The community of designers over at Dribbble are always happy to release new freebies to the public. It’s such a populated network that it can be frustrating to browse through all the newest shots looking for hidden gems. Thankfully I keep up with all the latest submissions and have put together a wonderful showcase of free downloads. In the gallery below I’ve published 40 freebies having been released since early Q1 2012. These include full PSD graphics along with background patterns and .png icon sets. Any digital artist or web designer will surely find at least a few handy resources from this collection. Be sure to let us know your favorites in the discussion area below. HTML5 technology is the proposed next extensive major revision of HTML. It works on every platform, is compatible with older browsers, and handles errors gracefully. HTML5 adds many new syntactical features. These include the video, audio, and canvas elements. These features are designed to make it easy to include multimedia content on the web without having plug-in and APIs. Other new elements, such as section, article, header, and nav are designed to enrich the content. In this Today’s post showcased 46 Best Inspirational Examples of HTML5 Websites. 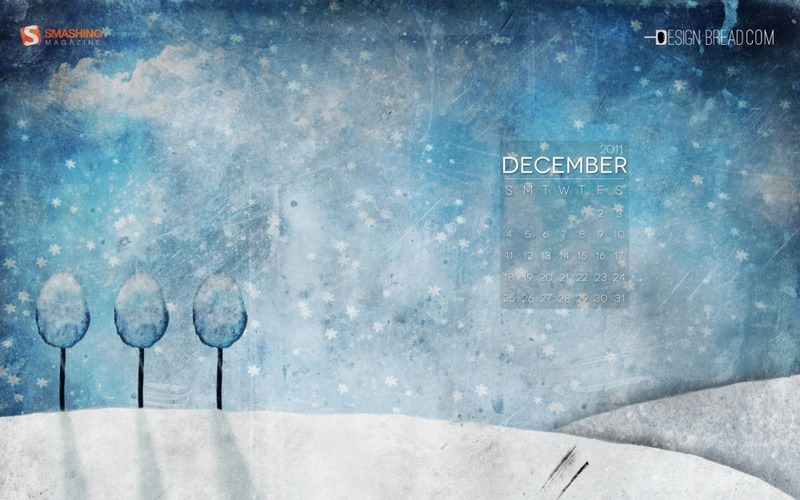 “December Blue is reminiscent of a scene from a classic Christmas stop motion film.” Designed by Colin Whitehurst from Philippines.